As a tea specialty store, we place great value on the quality of Matcha we use. We use “Gokujyou-honmatcha” (the finest quality powdered green tea) produced in Shizuoka Prefecture. It has won a prestigious award (Minister of Agriculture, Forestry and Fisheries Award) for three consecutive years. Matcha is made from tea leaves. We only use new shoots that appear at the tips of the tea plant. This is because new shoots contain much umami (delicious taste suitable for Matcha). The tea plantations are completely shaded for about 20 days using a large overhead framework of reed screens and rice straw to shut out direct sunlight. 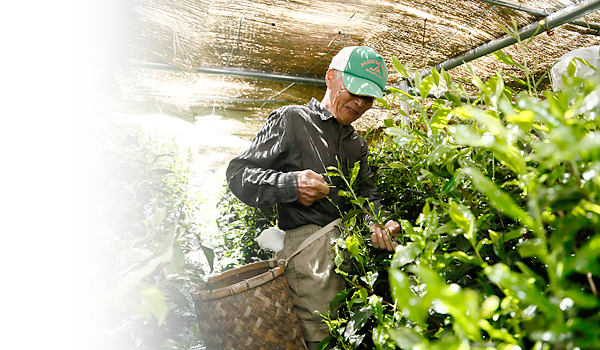 Then, young leaves (new shoots) are carefully picked by farmers. Harvested young leaves are steamed and dried. But before they are completely dry, their veins and stem are separated from the main part of the leaf. The part that remains, after drying, is called Tencha. 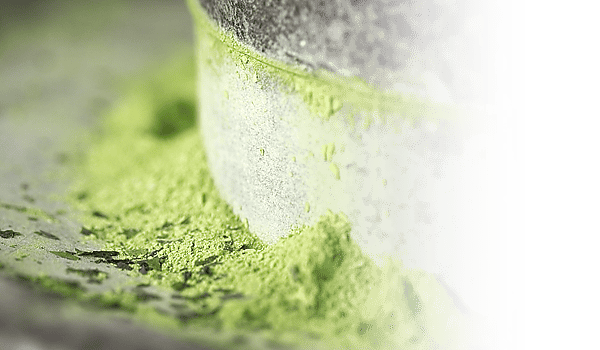 The final step in the processing of Matcha is the grinding of the Tencha leaves into a fine powder. Stone mill is used here. Stone mill made of granite stone can only grind 20g of powdered tea in an hour. This is the whole process of making “Gokujyou-Honmatcha”. 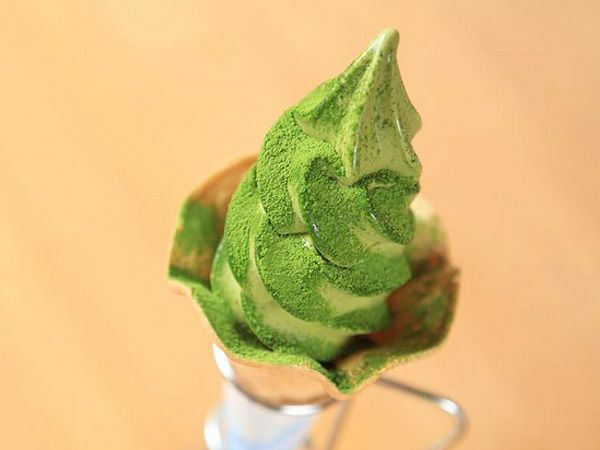 Gelato and Soft-Serve Ice Cream provided by our store use these highest quality Matcha lavishly. You can choose the level of bitterness of Matcha. Please enjoy the taste of our highest quality Matcha with slight bitterness. We use “Bou-Houjicha (special kind of roasted green tea explained below)” for Houjicha Gelato and Soft-Serve Ice Cream. 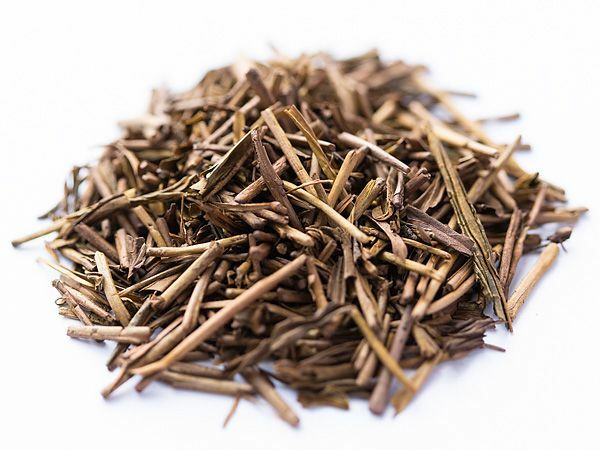 First, we select Boucha (roasted stem tea) since they are said to have more fragrant flavor than tea made from tea leaves. Then, we roast the stems using far-infrared heating technique (the heat is given off from sand) known as “Sunairibaisen”. This process enables us to make rich and flavorful Houjicha.